An honest Caol Ila! 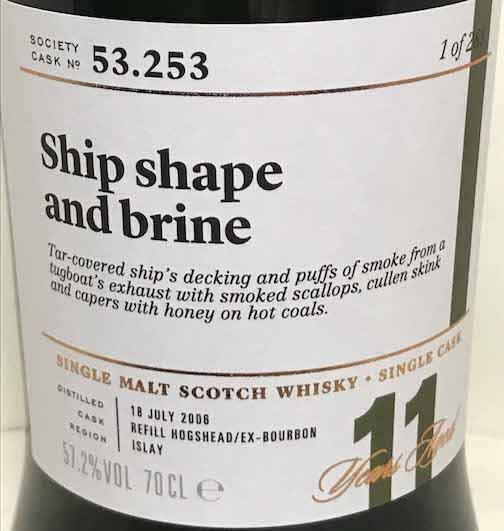 Maritime, ash, smoke and lemon. Fits like he is! Salt, and how! 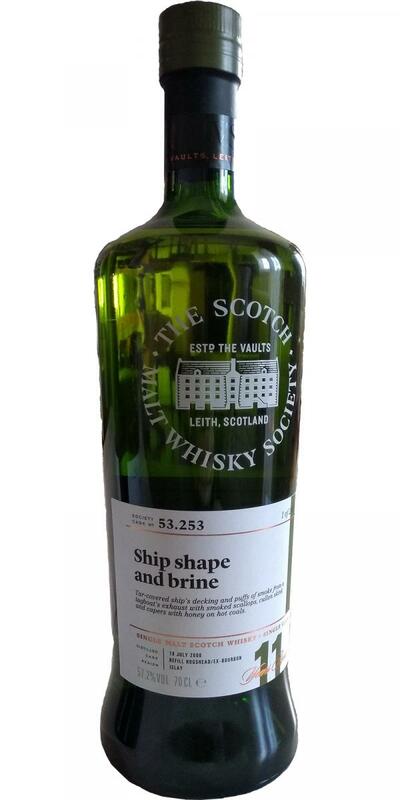 Wet, stones, sand, lemon, pine needles, resin, oak, boat paint, smoke and ash alike, sweet! Strong with ash and smoke, lots of lemon and a subtle sweetness! It was fish ahoy as we sat on the tar-covered ship's decking, preparing smoked haddock for cullen skink (Scottish soup made of smoked haddock, potatoes and onions). Puffs of smoke from a passing tugboat's exhaust wafted by and mingled with the smell of smoked scallops on the barbeque and scorched rosemary. Chewing on salted liquorice we used a charred stick dipped in honey to drizzle a sticky glaze onto lobster meat, which crackled and flamed as it dripped onto the hot coals. The smell of brine was thick in the air as we opened the capers to accompany pickled ginger and a dash of ginger marmalade to finish.